Courtesy our much awaited routine of ‘Let’s try something different this weekend’ we today take you to a Bengali restaurant. Background: If Delhi & NCR has scarcity of an Indian cuisine, its Bengali. All bongs of Delhi must be cooking awesome food in their small kitchens, hence few felt the necessity for Bengali restaurants. (Not to be taken seriously or communally!) 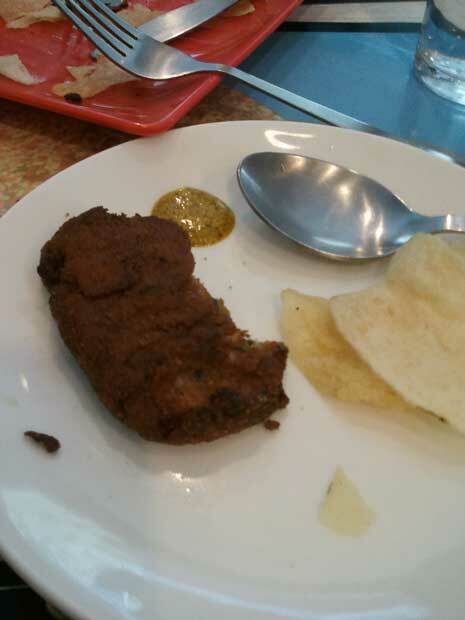 So hunting for authentic Bengali (not too sure if Bangla is better here) restaurant, our last tryst was with Oh Calcutta, a restaurant in Delhi’s Nehru Place area, which was not a great experience (issues with too much of mustard). But since food is a speedy bygone, we are ready with a fresher and much more delectable experience @ Love and Mustard. Love and Mustard is in the famous Galleria market in DLF Phase 4, Gurgaon. This hangout point might be tough to locate if you are new to Gurgaon. Seek directions for Post office in Galleria Market, restaurant is on first floor, on top of the Post office. Enter Love and Mustard and first thing you’ll notice is that it is a small restaurant made in a ‘shop’. Without delay you’ll have your second realisation: these guys saved on beautification and size and invested it in quality of food and offering value. Why else would we wait for 20 minutes even after an advance booking on a lazy Saturday afternoon? Fish fry was fish marinated in Bengali spices and it was ok. With chips and mustard sauce it was fine to eat. Vegetable chop was not that good. It seems like a deep fried roll stuffed with too much beetroot and had sweet taste. It was time to order for some main course items. 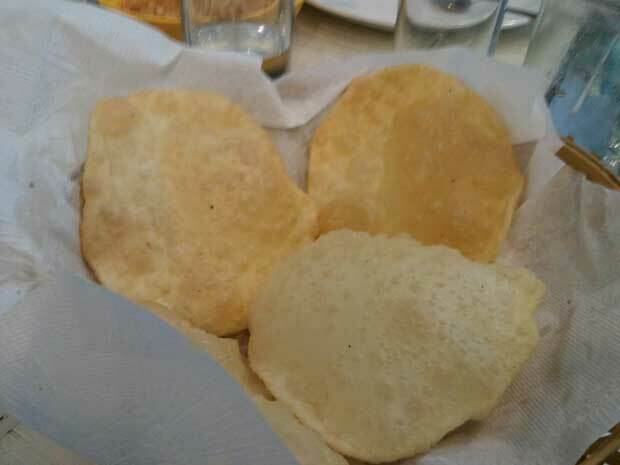 We ordered Chingri Malai Curry, Aloo Bhaja, Chicken Biryani, Koraisutir (Peas) Kochuri and Luchi (Bengali Puris). Chingri Malai Curry was good. Its an authentic Bengali dish and is prawn curry cooked in coconut milk. With peas kouchuri it tasted great. If you are visiting this place, this is a must try. 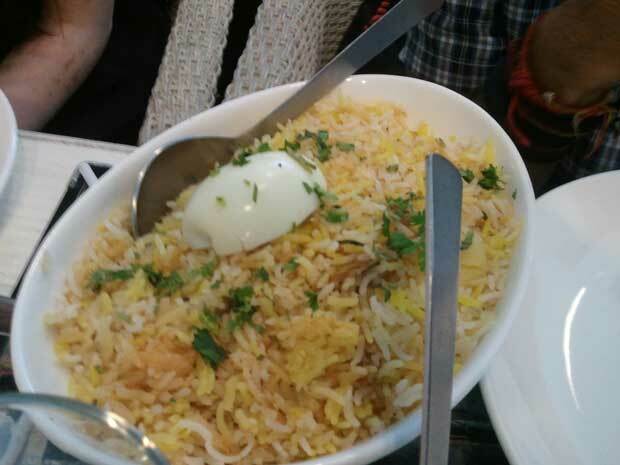 Chicken biryani was not like the usual biryani, we are used to (read Deez and Viva Hyderbad one). It has potato and egg in it, apart from chicken. It was not spicy and was pretty blend. 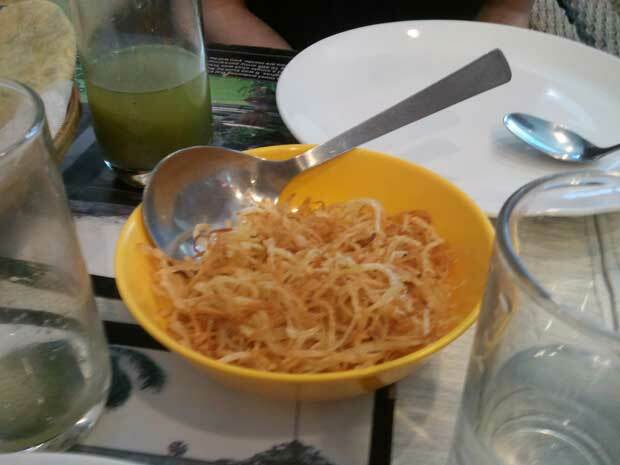 For vegetarians, we had ordered Alu Bhaja, which was nothing but dry Bengali fried potatoes (as you can see below in photo). Sad…. 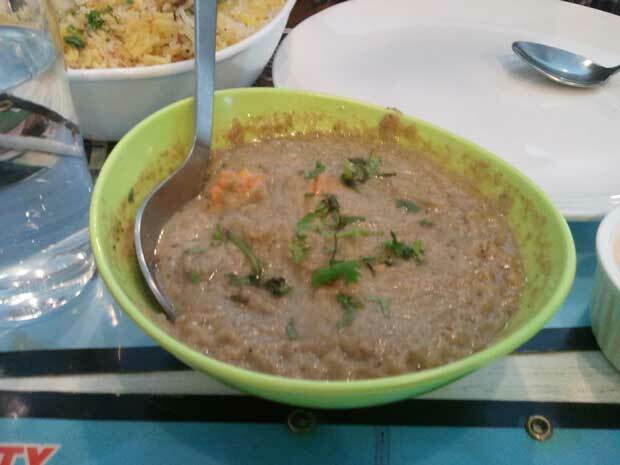 So we had to order another veg item with gravy and it was Alur Dom (spicy potato curry famous all over Bengal). 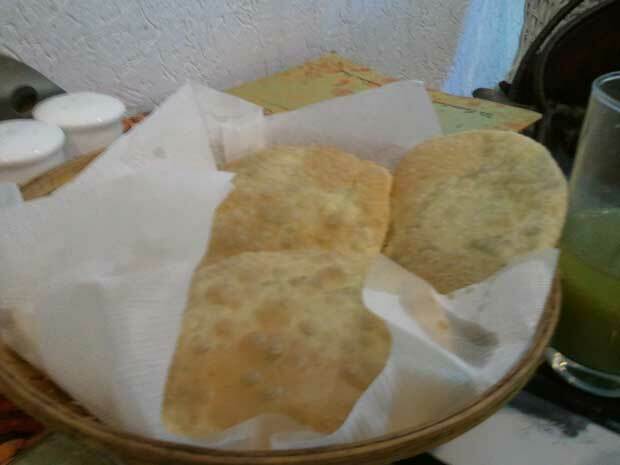 Normal luchi or Bengali puri was like our age old normal puris and nothing more than that. 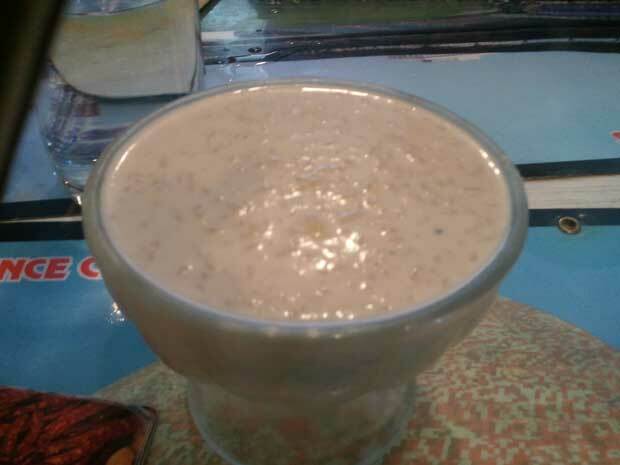 We had to compromise with Payesh (rice pudding with date jaggery) and normal Rosogolla. Both these were ok types and not upto the mark. Disappointed with desserts. Total bill came out as Rs 1176 for all these, which was fine and around 400 per head. Good for one time visit. Tips: You may go there with advance booking on some of the online websites like BookMyTable, they can provide some 10-15% discount. They also accept sodexo meal and gift passes, so if you have them don’t forget to carry along.